With Saxton Freymann's delightful illustrations of people and animals playing, this innovative set of oversized 4 × 5¾inch picture cards goes beyond games like Go Fish and Concentration. The object is to collect three-of-a-kind sets; rather than simply matching them, however, you can choose how you sort the cards to create your own sets. It might be monkeys, or frogs, or cats, but it could also be characters eating food, or wearing hats, or playing instruments, or having fun on wheels. 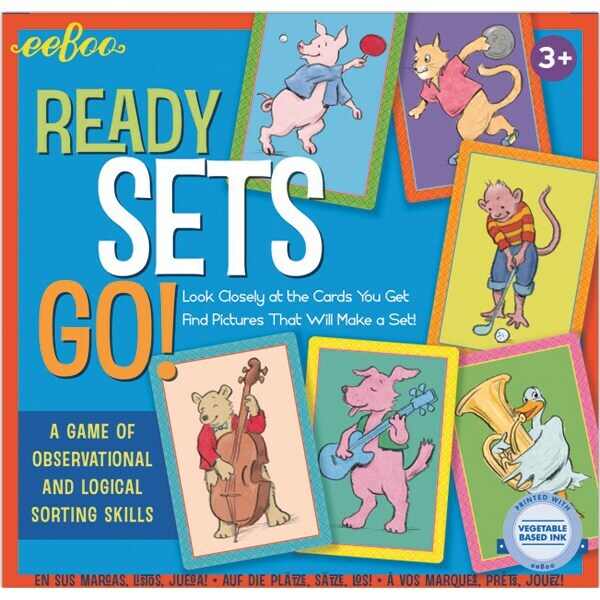 There are many different mix-and-match elements among the 60 cards, stimulating both observational skills and logical thinking for players 3 and up.